HERE IS THE LINE UP FOR DECEMBER DESIGNER FREEBIES! Welcome 2019! This is a brand New year and we have a New Site which brings promises of bigger and better things for 2019. Our New site PS Digital memories is now live and ready for visitors come by and have a look around. Along with the Digital Scrapbook kits, Digital embellishments, Digital Paper packs and Designs that Paylor Studio’s offers we have decided to also do Custom Personalized Scrap for hire Memory Books, personalized pages to capture your memories in beautiful elegant artistic styles. Let your pictures come to life and tell a story of your precious memories. Visit our Scrap 4 Hire page if you need assistance. Blog Train still runs every month starting on the 16th until the end of the month. 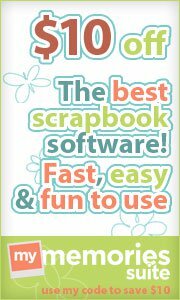 So jump on board for your Free Digital Scrapbook Kits. Paylor Studio’s along with other Designers at Mymemories are dedicated to bringing you fresh NEW Freebies every Month. PS Digital Memories has a members area with file share so you can show off your albums. Remember to join our Newsletter and become a site member so you can receive Freebies, join us in the Forum to discuss learn and keep up with new trends or just hang out and make new friends. We look foreword to seeing all of our old Friends and gaining New friends this year..Happy 2019! Happy September! This month we have alot of NEW Kit’s the theme is Autumn & Halloween. Check out these new kits. Ghost and Goblins and witches Galore, soon will be at our door! Halloween Treats are fun and yummy. I love baking and especially being creative in the kitchen. The holidays allow me to combine my two favorite hobbies: Baking and Art. Every Halloween I do lot’s of spooky treats many of my treats have turned into a Halloween tradition. In our house we cannot have Halloween without witches fingers, ghost rice crispy treats, caramel apples, Pumpkin spice Jack O Lantern cake and a variety of Halloween shaped cookies. Do you have a recipe that is a Halloween tradition in your house? Or Maybe, one that you want to make a tradition? This month’s participation Gift is this Halloween Treats Alpha’a and embellishment Kit. Everyone who participates will receive this FREE Exclusive gift created only for participants. Remember to Have Fun! Post your Scrapbook Cookbook Halloween Treats Recipe and One suggestion and Receive your FREE Participation Gift. Next Month we will have another fun recipe Scrap Challenge and another Participation gift to help you in creating your Scrapbook Cookbook. When you think about scrapbooking what comes to mind? Do you think about capturing your memories and sharing them with all your friends and family? Have you ever considered creating a Cookbook to share and to pass down to your family? In my family we have recipes from grandparents, parents and passed generations that we want to pass on to our kids and grandkids. I always create and prints recipe cards to place beside my dish that I takes to family reunions, church socials and special dinner gatherings. The holidays are just around the corner and this is always a special time of gathering friends and family around the dinner table. In this challenge series we will be creating a Scrapbook Cookbook. Not just any old cookbook but your very own cookbook with your favorite recipes and your creativity. Every month I will be challenging you to be creative and to post your work in the challenge. Which is located in the My Memories Forum. Everyone who participates will receive a FREE Exclusive gift only available to those who participate in this Scrap Your Cookbook challenge. Ready to get started on our first Challenge? Summer is over and the kids are heading Back to School. I hope everyone enjoyed the Summer and had lots of Family Fun. Are you playing along in the Forum? Paylor Studio’s offer’s a Monthly Scrap your Cookbook Challenge. Every Participant will receive a FREE Exclusive gift, ONLY available to challenge Participants. Come join us and have Lots of Fun. Visit the My Memories Forum for Exclusive FREE Participation Gifts, EVERY Month. Scrap your memories. Keep all of those precious moments at your fingertips. Use my Coupon Code for $ 10.00 OFF, 1 Month FREE Digital Club and a FREE Photobook. Want FREE Software check out our Giveaway Page. I hope everyone enjoys this weeks Share the memories Freebies.